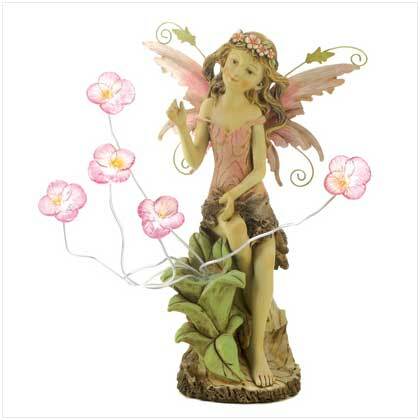 Add this beautifully detailed peony solar fairy statue to your garden, deck, patio or any favorite outdoor setting. 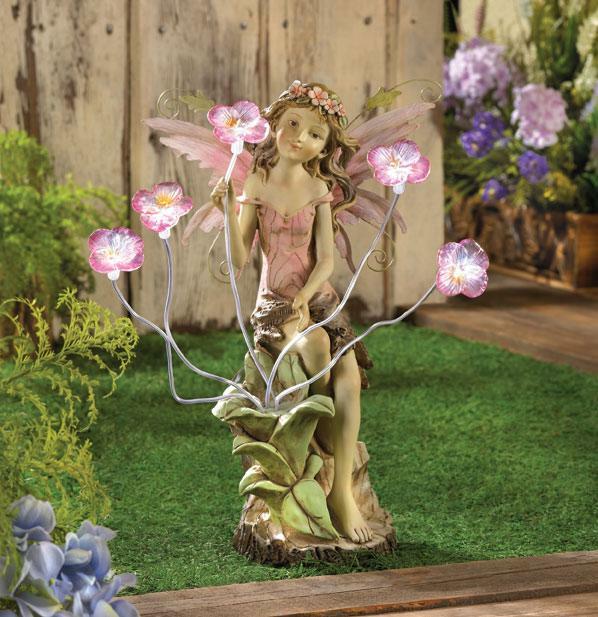 This colorful fairy statue features 5 adjustable blushing blooms solar flowers that light up at night blessing your garden with the beauty of spring. The solar panel collect sunlight during the day to charge the rechargeable battery, providing hours of enjoyment at night. Product Measurements: 12" x 11" x 18" high.